After three tries, Mobile has received a $14.5 million grant from the U.S. Department of Transportation for revitalization work on Broad Street. The city had applied two previous times for the Transportation Investment Generating Economic Recovery (TIGER) grant but lost both times. 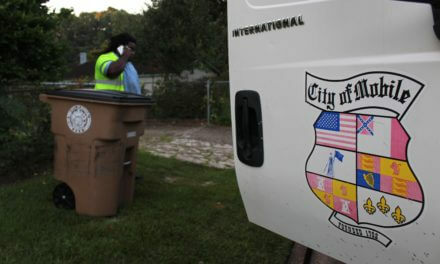 Keri Coumanis, an assistant city attorney, said the city learned from its failed proposals. Coumanis said the grant scored well last year, but lost out to another project in the state. (Photo | City of Mobile) A rendering of the proposed transformation of broad street with a $14.5 million department of transportation grant. “Our grant was highly rated the last two years,” she said. 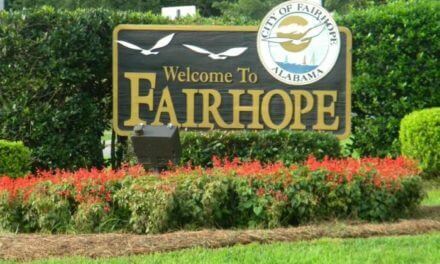 The grant award will result in what Mayor Sandy Stimpson’s administration is calling a “One Mobile” project. In line with the public policy mission of the grant, the project will provide efficient connectivity between residents, the transportation system and major economic employment centers at Brookley Aeroplex and downtown Mobile. 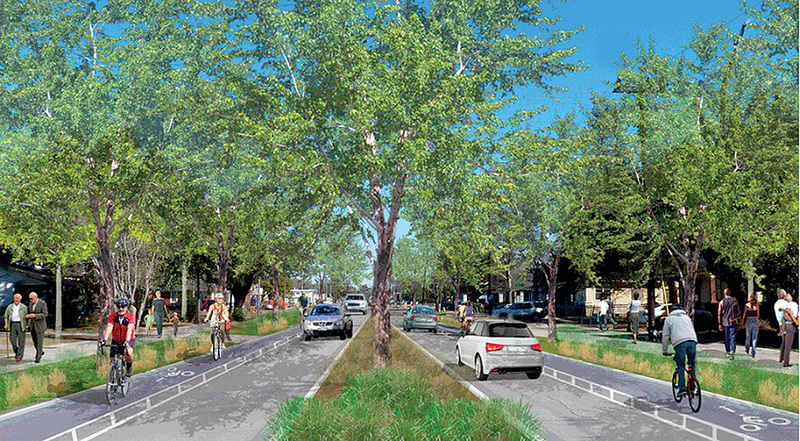 It will also reconnect neighborhoods currently divided by Broad Street’s unbroken five-lane expanse of concrete by creating bike and pedestrian lanes and landscaped medians. Coumanis said Broad is the perfect location for the grant award because it runs parallel to the state docks and connects the Brookley Aeroplex to the city’s main business district. 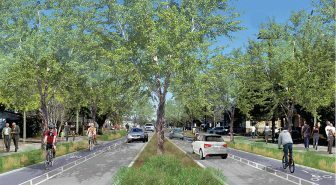 The project includes a reduction of lanes, or diet, and the addition of landscaping as well as room for pedestrian and bike lanes. It will include a $3 million match from the city. 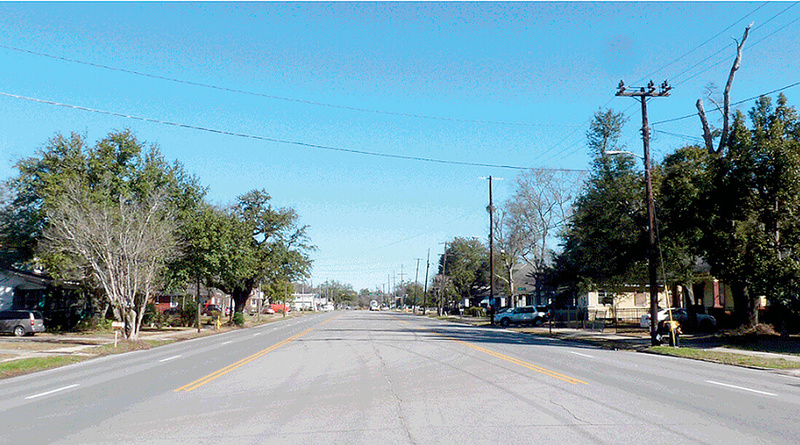 A consultant group pointed out the need for a lane reduction along Broad more than a year ago. Traffic engineers from the Toole Design Group made the recommendations, after spending a week in Mobile, as part of a multimodal study paid for by the Mobile Metropolitan Planning Organization. The group used average daily traffic figures to argue for fewer lanes on most downtown streets, except for Government Street from Broad to the Bankhead Tunnel. With roughly 12,000 to 17,000 vehicles per day, Broad Street was a good candidate for a lane reduction. The consultants said ideally one lane from each side of Broad could be converted into bike or pedestrian lanes. Mobile Historic Development Commission Director Cart Blackwell said Broad Street took on its current appearance in the 1950s and 1960s when it became part of the Hank Aaron Loop. It became a circulator between the city’s residential areas and the tunnel. It also used to be busier, which is why it had so many lanes.